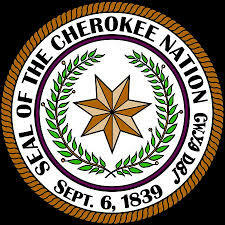 The Cherokee Nation (CN) has sovereign status recognized by the United States in treaty and law. The Nation’s capital and the seat of tribal government is Tahlequah, Oklahoma. Today, the Cherokee Nation government protects the Nation’s inherent sovereignty, preserves and promotes Cherokee culture, language, and values, and works to improve the quality of life for Cherokee citizens. (The following is from the CN website.) The Cherokee Nation is the largest Indian group in the United States with over 315,000 citizens. More than 110,000 Cherokees reside within a 7,000 square mile geographical area, which is not a reservation but rather a federally-recognized, truly sovereign nation covering most of northeast Oklahoma. The Cherokee Nation’s jurisdictional service area encompasses eight entire counties along with portions of six others. The Cherokee Nation has both the sovereign right and the responsibility to exercise control and development over tribal assets, including more than 66,000 acres of land and 96 miles of the Arkansas Riverbed. Since the earliest contact with European explorers in the 16th century, the Cherokee people have been consistently identified as one of the most socially and culturally advanced of the Native American tribes. Cherokee culture thrived many hundreds of years before initial European contact in the southeastern area of what is now the United States. Gold was discovered in Georgia in 1829. Outsiders were already coveting Cherokee homelands and a period of “Indian removals” made way for encroachment by settlers, prospectors and others. Ultimately, thousands of Cherokee men, women and children were rounded up in preparation for their “removal” at the order of President Andrew Jackson in his direct defiance of a ruling by the U.S. Supreme Court. The government . . . . The protection of individual rights and participation in government (democracy) by the U. S. Constitution is similar to the Cherokee Constitution. Both were partially derived from the 117 Articles of the Iroquois Confederacy Constitution that united the Mohawk, Oneida, Onondaga, Cayuga, and Seneca people. The Iroquois Constitution was called The Great Law of Peace. Its articles 93 – 104 granting equal rights to men and women and guaranteeing freedom of religion are particularly interesting. Section 1 [of 3 sections]. All citizens of the Cherokee Nation must be original enrollees or descendants of original enrollees listed on the Dawes Commission Rolls, including the Delaware Cherokees of Article II of the Delaware Agreement dated the 8th day of May, 1867, and the Shawnee Cherokees of Article III of the Shawnee Agreement dated the 9th day of June, 1869, and/or their descendants. Article IV makes it clear that Cherokee Nation citizenship and a federal Certificate of Degree of Indian Blood (CDIB) do not require a specific percentage of Cherokee blood. 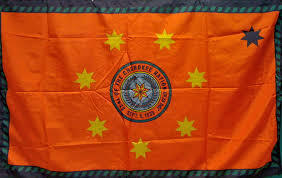 They require only that you have at least one direct Cherokee ancestor listed on the Dawes Roll, the 1899-1906 federal census of the Cherokee Nation that was used to allot land to individual citizens in preparation for Oklahoma statehood (1907). Bulan F. Rogers (22690), GR’s grandfather is listed on Page 373 of the Dawes Roll. Bulan’s mother, Margaret Lucinda Tidwell Rogers, was 1/4 Cherokee, and though the fraction is irrelevant, it is interesting. If we calculate solely from Margaret, Bulan was 1/8 Cherokee, John S. was 1/16, GR is 1/32, and Adam, Marc, and Katie are 1/64). There is a Lucinda Rogers listed on page 374 or the Roll, but I did not spot a Margaret Tidwell or Margaret Rogers on the Roll. I have not taken the next step to look up Lucinda Rogers’ record to see if her first name was Margaret. It is worth noting that GR’s mother (Esther) is a Cherokee descendant, but since her family did not register and is not listed on the Dawes Roll, she cannot be a member of the Cherokee Nation. It might be possible to prove her Cherokee connection, but no one in the family has yet done it.